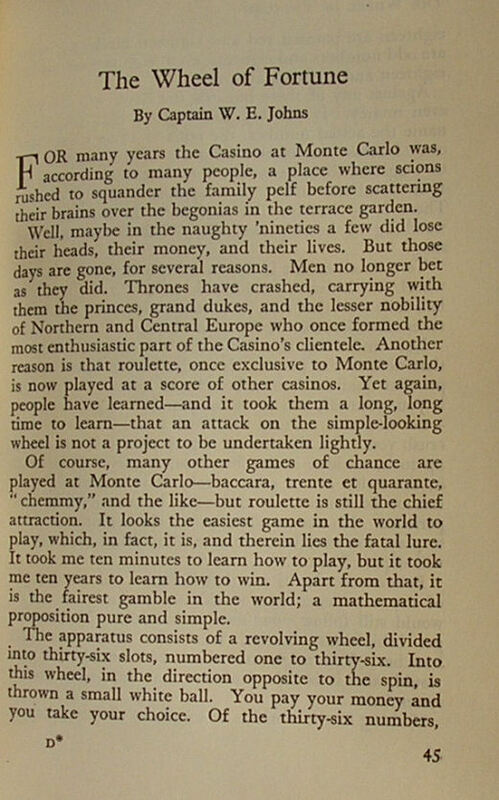 This four page article is about the roulette wheel and is most entertaining. Johns explains the odds on the various bets one can make on a roulette wheel. Johns says “It is you, yourself, you must conquer before you can win – not the table. Greed will break you. Obstinacy will crush you”. “If it is your unlucky day, you will lose, whatever you do, and this brings us to the first golden rule, which is “cut your losses”. The big sums that have been lost at Monte Carlo were lost, not trying to win, but in trying to recover losses”. “The next vital rule is, never bet with more that you can afford to lose without missing it, otherwise the game ceases to be a game; it becomes an ordeal”. “One more tip. Never play against the table. Always play with it. That is to say, follow whatever it is doing. 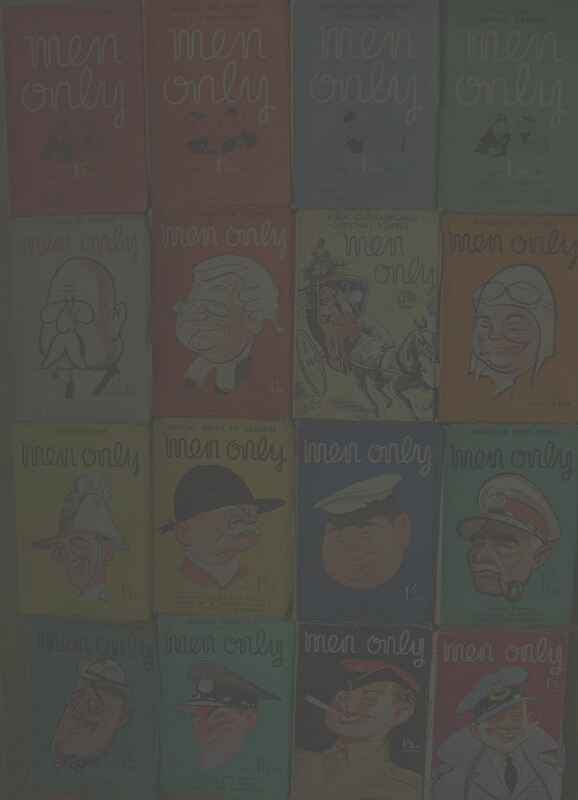 If it is coming a phenomenal number of reds, play red; don’t oppose it by playing black”. “Finally, never watch the wheel while it is spinning, for that way madness lies”.